I hesitated showing a picture of them. They look so scabby. 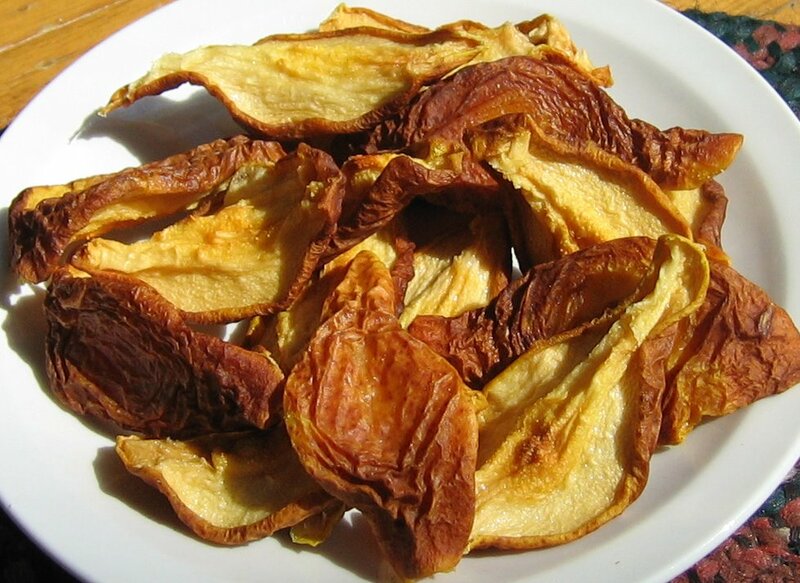 Google "dried pears" and this sure isn't what you'll see. But they're the essence of pear! And when I'm craving dried fruit, I'm not craving sulfur dioxide, or sodium metabisulfite ... at least I don't think I am. These are preserved with a little vitamin C which cuts down on browning and retains more nutrients than non-preserved fruit. I had been using the oven to dry foods for a few years. This winter I came into a dehydrator. I'm still experimenting with it. The oranges and kiwi didn't go over, but the pears, oh, the pears. 1 Choose very ripe fruit. It's better to use overripe fruit and slice off bruises than perfect-looking yet tough and tart underripe fruit. 2 Wash fruit thoroughly. I recommend using a citrus-based fruit and vegetable wash such as Fit® or Veggie Wash® that can remove residual waxes and agro-chemicals. This is especially important since you won't be peeling the fruit. 3 Pour room temperature water into a non-reactive bowl (glass or stainless steel). 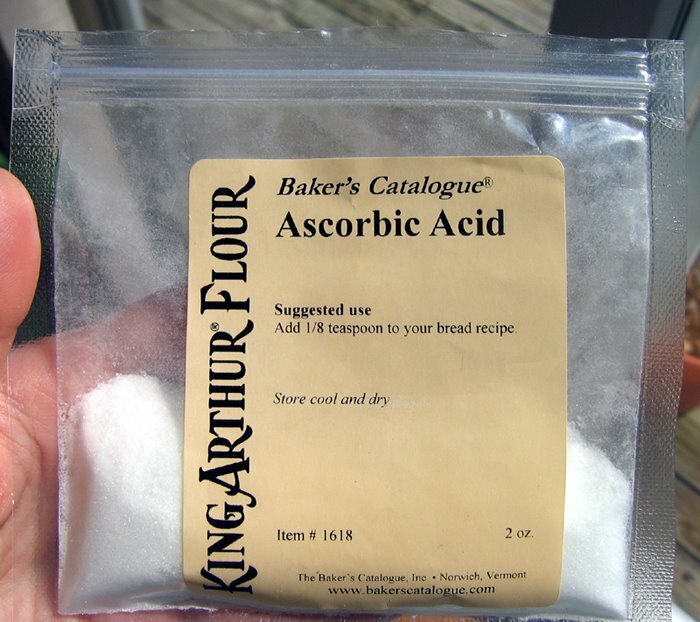 Dissolve ascorbic acid in water. Use 2 tsp. ascorbic acid per cup of water. Add lemon juice. 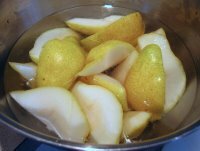 4 Cut pears into quarters lengthwise. (May also be halved but will take longer to dry.) Carefully scoop out seeds and core. Soak pears in treated water for 10 to 15 minutes, not longer than 1 hour. Drain. 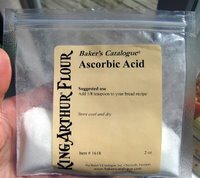 Distribute evenly on a drying tray (or cookie sheet if you're using your oven). Dry at 140ºF for about 6 hours. 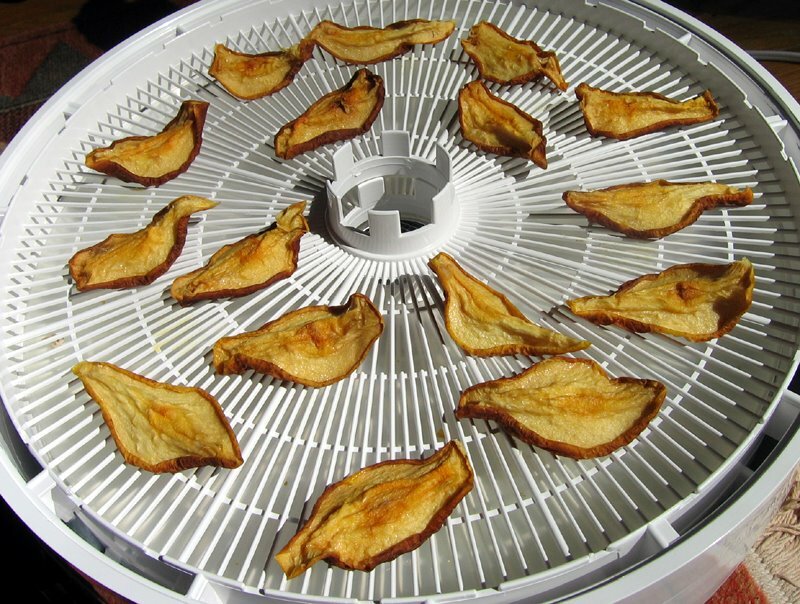 Reduce the temperature to 120-130ºF and continue drying for an additional 18 to 24 hours. 5 Allow fruit to cool for a few hours without covering. Package in plastic bags and allow to condition for about a week. Conditioning distributes residual moisture. You can eat them sooner but the center may be softer than the edges. See my post on Antioxidants in Food for a take on how drying affects nutritional value. I realize this is an old post, but it came up on Google... 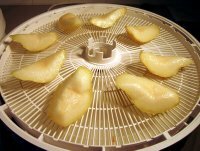 So, have you ever experienced a soapy taste when drying pears? Last year I had to toss an entire batch of dried pears because they tasted like soap! Ick! 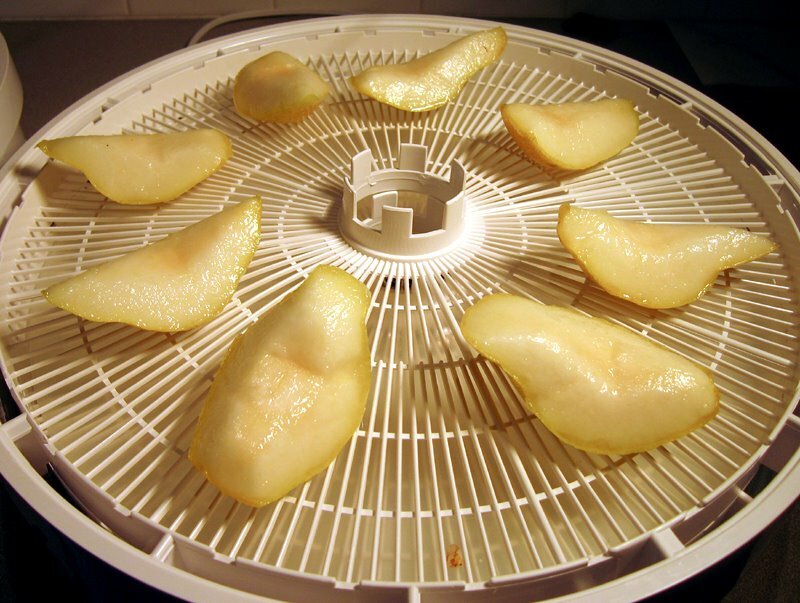 I just put several pounds into the dehydrator and I'm a little nervous about the soap issue again. Ever have this problem? Several pounds. That's a pretty penny. I don't know. The taste of soap would mean that an acid (fats are weak acids use to make soaps, found naturally on/in the skin of a pear, or perhaps unnaturally on a pear treated with some kind of commercial wax to keep it fresh), reacted with a base (don't know from where, maybe ammonia residue from fertilizer), during heating (your dehydrator). Your particular batch of pears seems to have just enough of the weak acid/strong base present to taste soapy. You may need to remove the skins on them (or scrub the heck out of them). 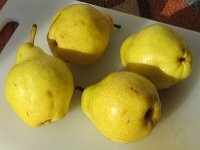 Using organic pears wouldn't necessarily avoid this, since they can also be grown with fertilizers and treated with waxes. That's my take on it!